Aren't you annoyed of spending money on expensive skincare treatments and products to make your skin glow or indulging in home remedies that consume too much of your time and finding it difficult to keep up with following a set routine ? Have you ever thought of including ice in your daily skincare regime ? A simple,effective and yet inexpensive way of giving your skin naturally a healthy glow.Well if you haven't thought about it yet,you might get convinced after reading the following benefits of ice for skin. EVEN though it's only October now and few more days are left before November knocks in,it is still not that much chilly or wintery yet. But my skin became irritatingly dry and sensitive since the start of October itself.Moisturizers and creams were helping to keep dryness of my face at bay from outside but from within half of my face was feeling tingling/burning sensation (almost like a rash kind of irritation) which was really discomforting.That's when I decided to try something which will not only help in minimizing dryness but will also soothe and calm my sensitive skin. I had never tried thermal spring water before and only read great reviews about it on so many amazing blogs specially about the Avene thermal spring water.I was contemplating over the thought of getting an Avene one first or La Roche Posay one. Both are very good skincare brands and lot of people have raved about their products a lot but finally I decided to go for the La Roche thermal spring water (Rs. 490/- 50ml). Hey guys, I'm so excited and happy to be nominated for the Liebster award by the really pretty and sweet shwetali. Check out her awesome blog Not so hard to be pretty . She does Product Reviews.Looks,DIYs and much more.Thanks a lot shwetali for nominating me dear. 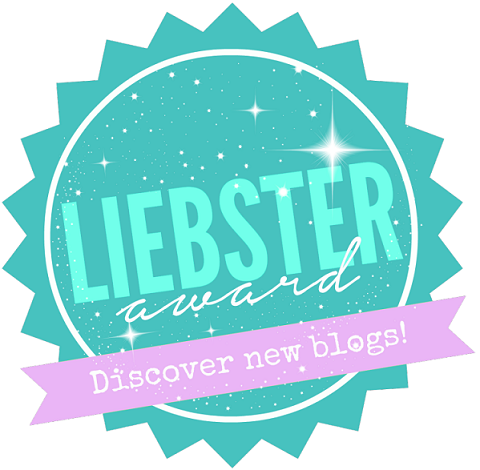 So Liebster Award is basically an online award given to new bloggers by bloggers who've been on the scene for a while.This is a way to acknowledge their hard work they are doing in their interest. Today I'm reviewing Ananda Aloe gel and Rose Distillate facial mask which I received in my july envy box.As it is a hydrating mask I saved it up for fall and winter because my skin becomes really dry during this time.I did use it in july once but my skin was oily that time and yeah I'm aware of the fact that oily skin also needs hydration because oil is not moisture but i did not want to finish the whole gel in summer months only so i just stopped using it and now that my skin has become dry and flaky I've started applying it on my face at least twice a week.Read on further to know my experience with this gel mask. LAST time when I reviewed my envy box,I was moderately happy with all the products I got and in the end I wished for the next box to be more luxurious.So did my wish come true ?? well the answer is a big 'YES'.I think that this months box is the by far the best box I've received since the time I subscribed to my envy box.Read on further and see what all I got. 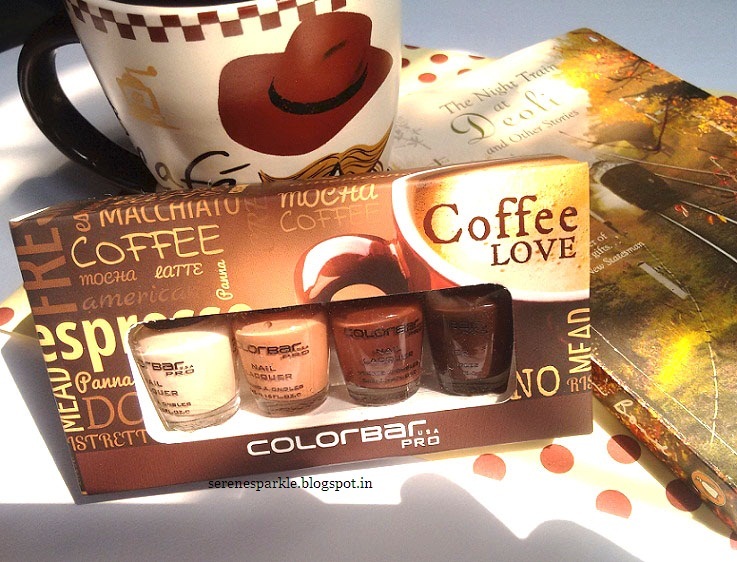 Today I'm reviewing the Colorbar coffee mini nail collection (Priced at Rs.500/-).It comes with lovely shades of light and dark brown.I love the cute tiny bottles but I'm not much impressed with the texture quality of these nail polishes.Read on further to know my experience with this nail set and please excuse me for the yellow tint in some of the pictures down below,it was due to sunlight. How are you all ? I hope you had lovely weekend.Did you see any of the weekend movie releases ? I watched The Martian and it was a nice experience.The visuals are great and even though it did get quite boring during certain scenes but overall it was amazing.Matt Damon as Mark Watney was awesome specially his humor while he was isolated on Mars.If you're into these kinda of sci-fi movies do watch it. Anyways now lets get into the main part of this post which is about The Body shop Organic Cotton Rounds.